ins2outs offers a ready-to-use ISO management system for your organization. A management system based on ins2outs provides a very high flexibility and allows you to reduce the time for its definition and deployment in your organization. How to accelerate management system deployment in your organization? Buy one of the available know-how sets as a starting point for such a project. Customize it based on your employees, a consultant of your choice, or one of the consultants of our expert network. A know-how set contains base versions of documentation comprising a chosen management system, which allows fast customization of such a know-how. ins2outs replaces bureaucratic documentation management systems in paper forms or as documents stored on hard disks with an active electronic documentation system customized to the role of each employee and available via a browser. Take advantage of solutions successfully used in, for example, Wikipedia. Each of the documents contains information on its normative source, roles responsible for it, and its revision history. Your employees are the best experts in the matters relating to your organization. Enliven the management system and help it improve through feedback. With features such as likes, web traffic statistics, or comments with notifications, your organization can constantly improve the management system and your employees can contribute to the improvement. How many times have you looked for a template for delegation settlement? 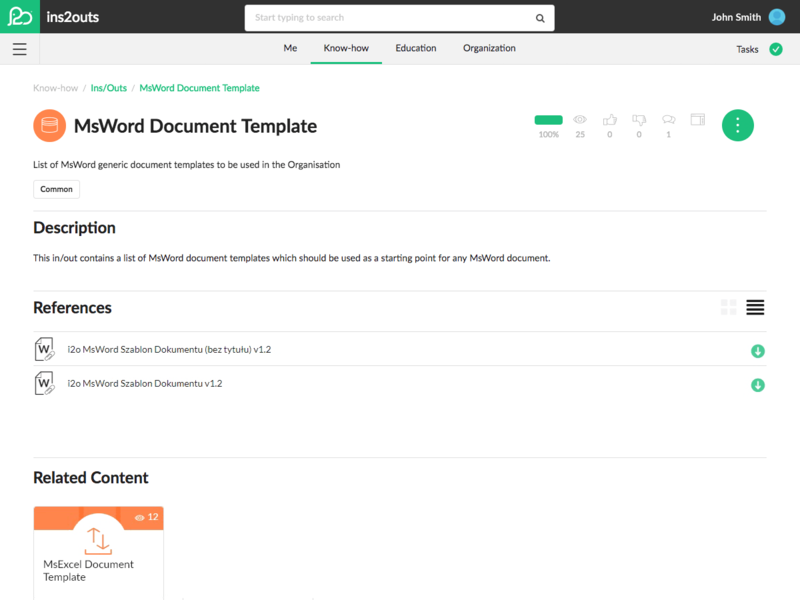 ins2outs offers a feature of attachments and templates. 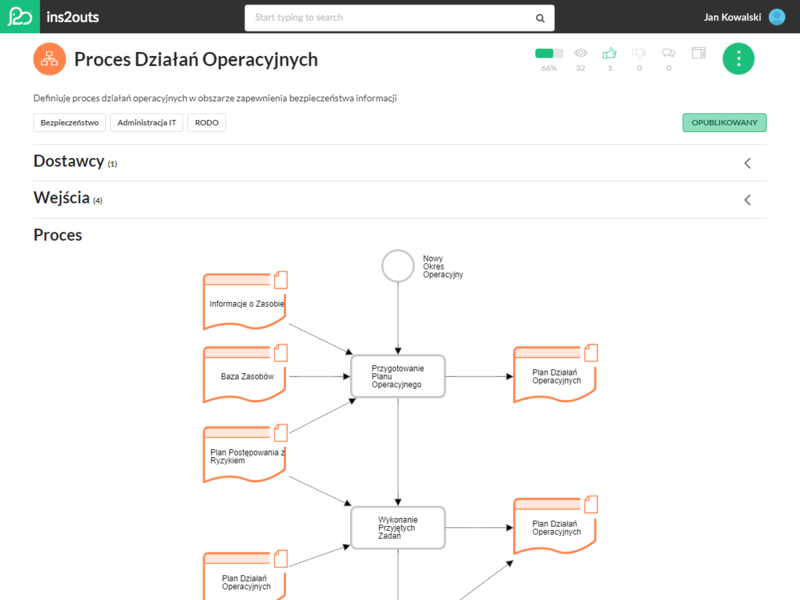 All key documents are available from the system, which considerably streamlines repetitive tasks within an organization. Combine this feature with how-tos and never worry about delegation settlement or the procurement process any more. A picture is worth a thousand words, but is it worth paying for an additional editor to achieve this? Model process diagrams within the ins2outs system. Modelled processes show how key activities are performed without the need to write long procedures. People – pillars of each organization. In order to support building awareness and competence, ins2outs offers a whole range of educational content. 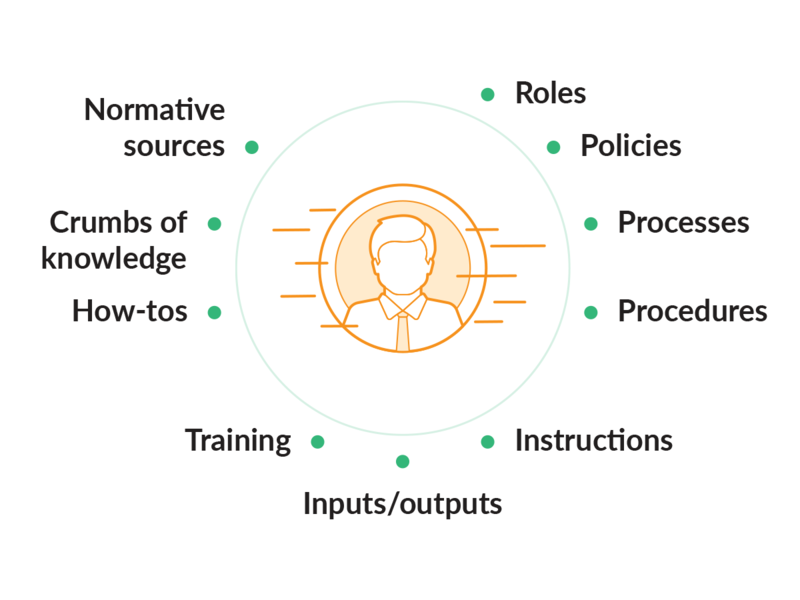 Create induction and long-term training, present basic how-tos, indicate the tools used, and show people other sources of knowledge important for the organization. During an audit, use competence records of your employees available in the system. Medium and large organizations are built around departments and roles. Use ins2outs to define roles that are crucial for your organization, specify their responsibilities, assign processes, instructions, and procedures. Your employees can be assigned to such defined roles and the system will ensure that they become familiar with appropriate content and undergo required training. It seems you are ready to scale your business. How many times have you wondered whether your organization and team meet specified working procedures? 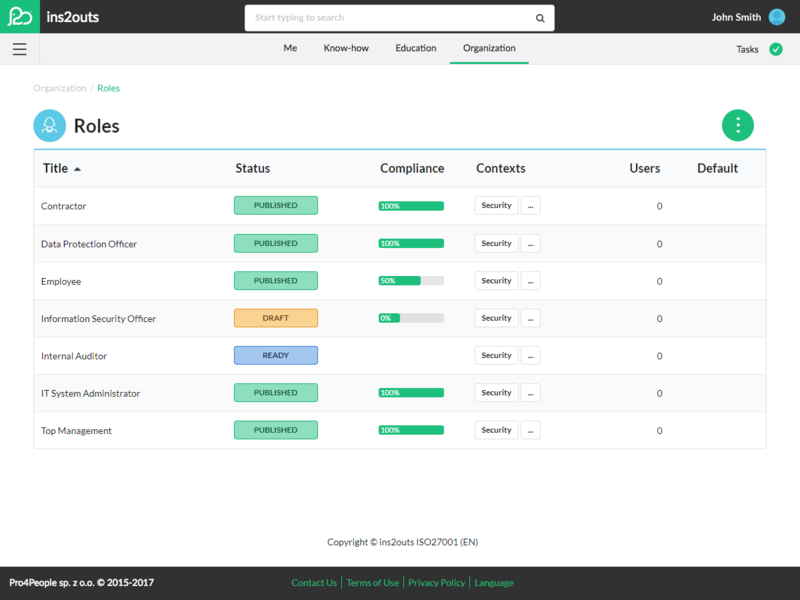 ins2outs offers automatic compliance reports for users, contents, roles, normative sources, etc. 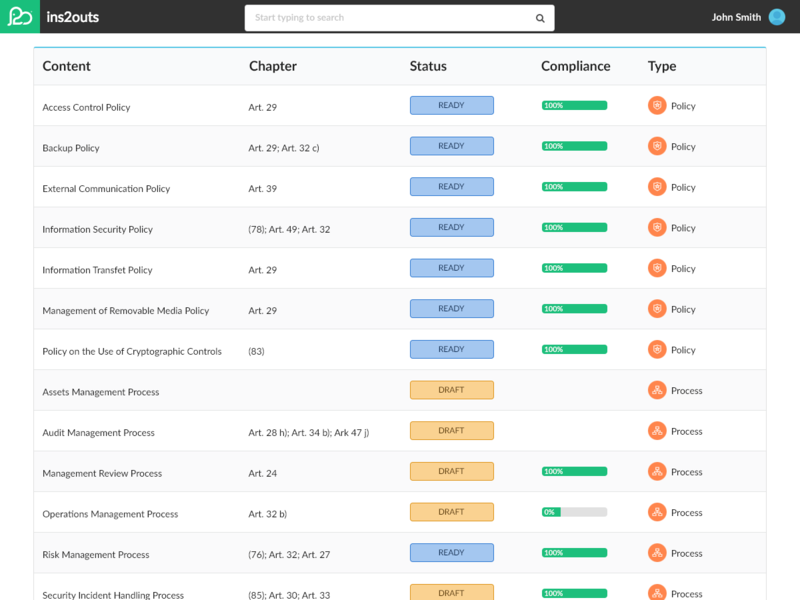 This will allow you to check whether employees have read appropriate documents and work in accordance with your know-how. 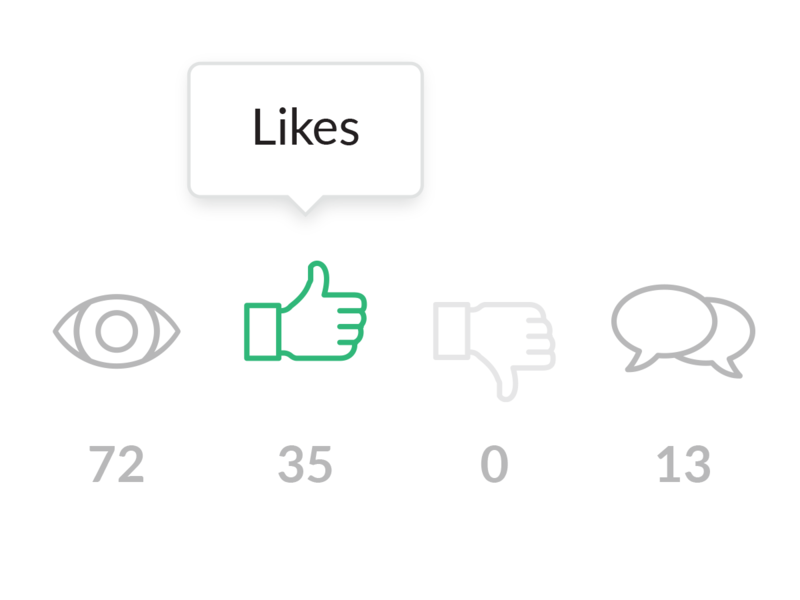 With this feature, no audit will ever evoke negative emotions. ins2outs actively notifies your employees of content they should become familiar with. The email notification system reminds about pending acceptances, reviews, or periodic inspections of documentation. Additionally, all proposed changes and improvements are automatically sent to the owner or a responsible working group. Let ins2outs ensure effective information flow in your company. The world is changing, new people come to the organization which operates within the ever-changing regulatory environment. 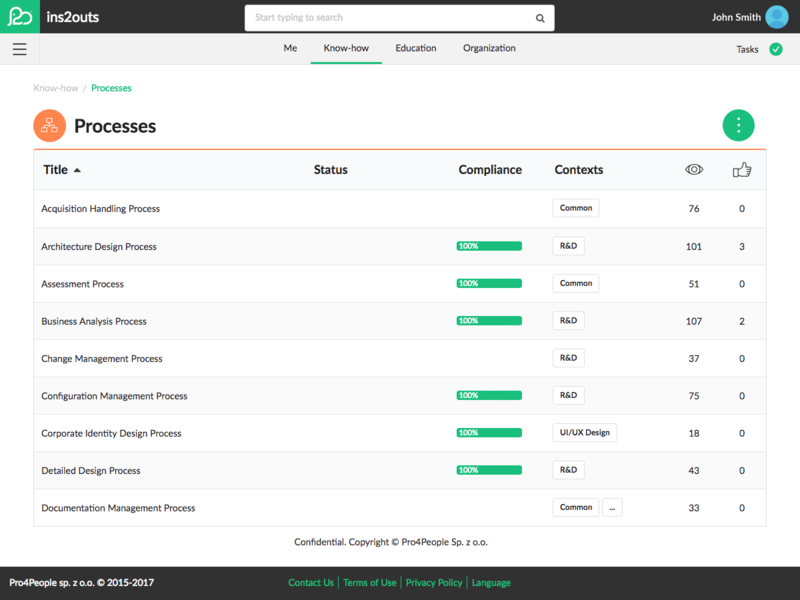 With Normative Sources, ins2outs allows you to share information within the organization on regulations and standards affecting the operations of the company. 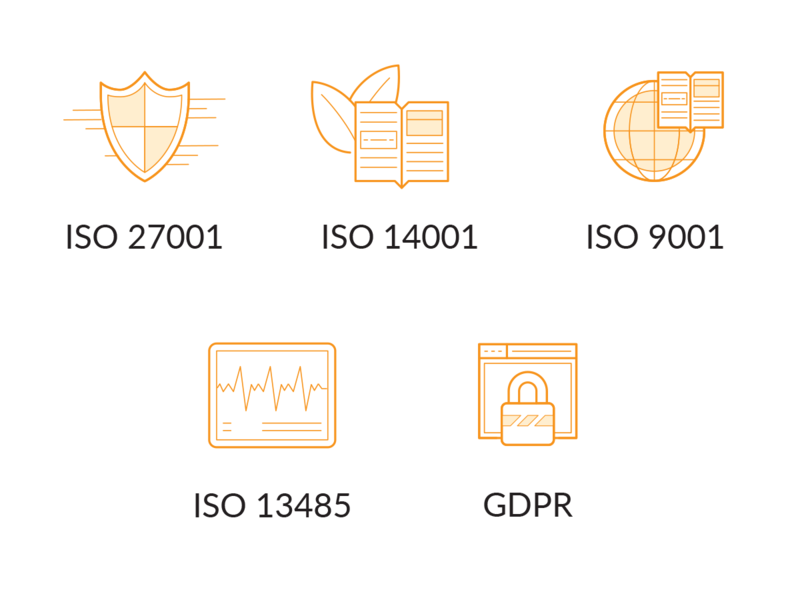 Combining content with, for example, ISO 27001 makes it possible to show how the company meets the requirements set out in the standard. This way, ISO compliance and certification is easier.